This is a deep-dive analysis with an estimated reading time of 13 minutes. 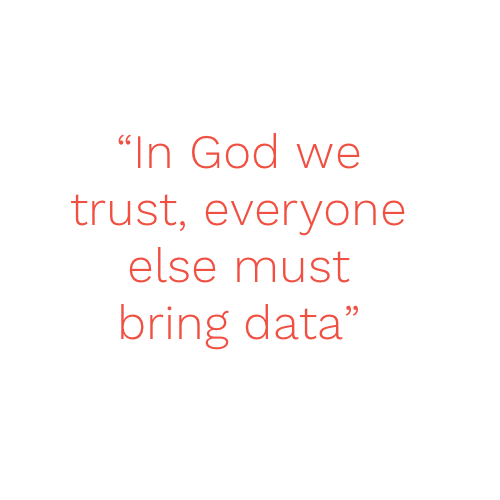 In the 21st century, data is more than king; it is a totalitarian dictator that controls every aspect of modern life, whether as informational data - what we read, watch and listen to or as mobile data - the credit needed to access informational data. Today, informational data is generated at a faster rate than it has ever been in history, with more than 90% of world data being created in the last three years alone. A large percentage of informational data generated is stored on the internet. Google records 3.5 billion search enquiries per day (that’s 70,000 every second), and according to International Data Corporation, worldwide data will quintuple from 33 zettabytes in 2018 to 175 zettabytes by 2025, all of which will be online. Business trends also point to an increasing influence of SaaS (Software As A Service) applications like Instagram, Netflix, Twitter, HBO, Uber, Bolt, Showtime, Apple Music and more, which rely heavily on storing data. In a few years, informational data will become indispensable, but mobile data more so, because it will be necessary to access the available information that feeds the demands of a fast-paced, rapidly evolving world. Yet in Nigeria, it is common to find both sorely lacking. I. How many Nigerians are part of the Digital Economy? At the end of 2018, Nigeria ranked 7th globally for internet subscribers, ahead of the likes of Russia and Germany, with over 110 million monthly subscribers. The country also boasts one of the fastest growing telecoms industry in the world—the industry grew by 11% in 2018, and the largest in Africa, valued at ₦9.7 trillion. In addition, its e-commerce market value is estimated to quadruple from ₦4 trillion to ₦15.4 trillion over the next 10 years. Nigeria is also one of the most mobile-driven countries in the world, with 81% of its internet traffic coming from mobile devices. Boasting roughly 6 million Twitter users and 5.7 million Instagram users, 75% of which take action after looking at a sponsored post, and an increasing number of digital partnerships with companies and brands, Nigeria’s’ online market is set to break records in the next few years. All of this further underscoring the importance of reliable mobile data in the country. II. Is Data really that expensive in Nigeria? In 2017, an estimated 92 million mobile subscribers spent an average of ₦197 billion on mobile data each month, translating to ₦2,141 per subscriber. This might seem inexpensive when compared to other goods and services but is equivalent to 12% of the current national minimum wage of ₦18,000 and 7% of the proposed wage of ₦30,000. According to the Alliance for Affordable Internet (A4AI), affordable data means that the cost of 1GB must not cost more than 2% of monthly income. In the absence of reliable estimates of median monthly income, we can rely on the minimum wage. With a minimum wage of ₦30,000, 1GB should cost no more than ₦600; thus the current average rate of 1GB for ₦1,000 is well over the A4AI standard. Alternatively, using a national income of ₦127 trillion for 2018 and a population of 200 million, we can estimate GDP per capita of ₦638,000 a year or ₦53,000 a month. Under this unrealistic assumption that everyone has the same income, data would cost just under 2% of monthly income. 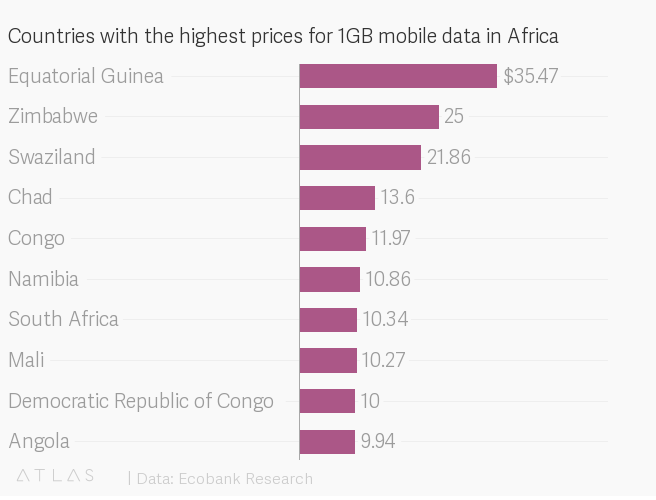 The cost of 1GB in Nigeria is roughly $2.78, compared to $2.33 in Rwanda, $3.63 in Ghana, and $5.99 in Gabon. This problem is admittedly a global one—57% of the world’s population cannot afford more than 500 MB of mobile data a month now, and in order to do so, data costs have to fall by 70%. Moreover, looking at data prices across Africa can give the impression that data is cheap in Nigeria. Data in Nigeria is cheaper than most African countries, but that does not say much as data in Africa is more expensive than anywhere else in the world. The cost of 1GB in Nigeria is roughly $2.78, compared to $2.33 in Rwanda, $3.63 in Ghana, and $5.99 in Gabon. Meanwhile, prices are $0.26/GB and $0.51/GB in India and Ukraine. III. Where do Glo, MTN, Airtel, 9mobile and others fit into the problem? In addition, we have been looking at the nominal price of data. But another reason data is so expensive in Nigeria is the high frequency of monthly renewals people go through. The Nigerian telecoms market suffers from the trifecta of lack of access to the internet, poor connectivity and cut-throat prices. Where the average Nigerian manages to surpass these challenges, it’s not uncommon to hear complaints of data plans and subscriptions running shorter than their intended lifespan, even with minimal use, and irrespective of negligible background data. One user complained that his 12GB subscription which usually lasted a month finished within two weeks, even though he used his Wi-Fi services once he got to work, where he spends most of the week. Users have regularly complained that although their data consumption habits have not changed, the amounts of times they subscribe in a month have increased. So far, the Nigerian Communications Commission (NCC) has not disclosed any in-depth investigations of such claims. But, we should not be surprised by such activity. When a person is in control of the supply of a commodity, without proper supervision or oversight, he is liable to inflate the price or alter the quantity provided, for personal gain. Think fuel attendants. Many Nigerians speculate that this is the reason the short lifespans of their data subscriptions, i.e. the price of data in Nigeria is high because data providers are not delivering on the promised quantity of data, and there is no regulation to ensure that they do. 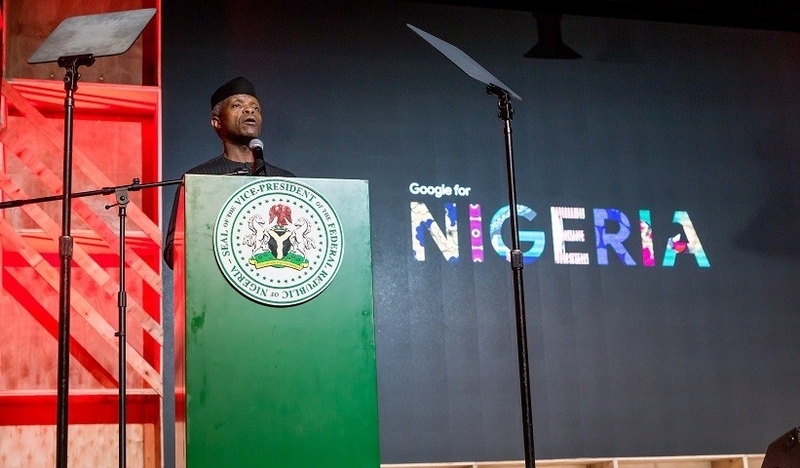 Even though Nigeria was one of the first countries to endorse the affordable internet initiative, the government has sought to regulate data prices. 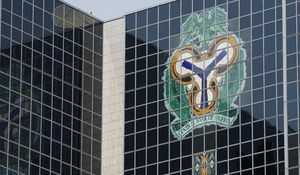 The NCC initially planned to remove the data price floor in 2016 before the government introduced a compulsory standardised rate of 90kobo/MB, higher than the prices the Telecommunication Companies (Telcos) were charging for data services at the time. For some Telcos, this means a 328% increase in tariffs. Though the Nigerian Senate stopped those efforts, data prices have only continued to climb since then. Finally, we should note that Speedtest Global Index ranks Nigeria 107th worldwide on mobile internet speed, with a download speed of 12.76 mbps (megabytes per second), against the global average of 25.38mbps. This means that Nigeria’s 100-plus subscribers use internet services that are 50% slower than the global standard. OpenSignal, a global network performance firm, in their 2018 report; succinctly captures the situation: “…the networks have their faults. The biggest among them is inconsistency and congestion’. Globacom since it similarly embarked on its 4G LTE pursuit in 2016, has been subjected to criticism as customers complain about slow services and download times, and more recently, data fraud. Globacom, upon launching its 4G LTE plans, promised data plans as cheap as 10GB at ₦2,500 for 30 days. Customers however almost immediately noted the ‘excruciatingly slow’ services and noted that the data could not be used, talk less of exhausted within the timeframe. Customers have also complained about the companies’ indifference to complaints. Despite these issues, the company presents itself as the ‘grandmasters of data’ in Nigeria. This is no surprise though as other significant providers like Airtel and 9mobile have been subject to similar complaints. In fact, a 2018 report by the NCC shows that Globacom outperformed other operators and gained 2 million new subscribers in that year, cementing its position as the second largest operator in Nigeria. 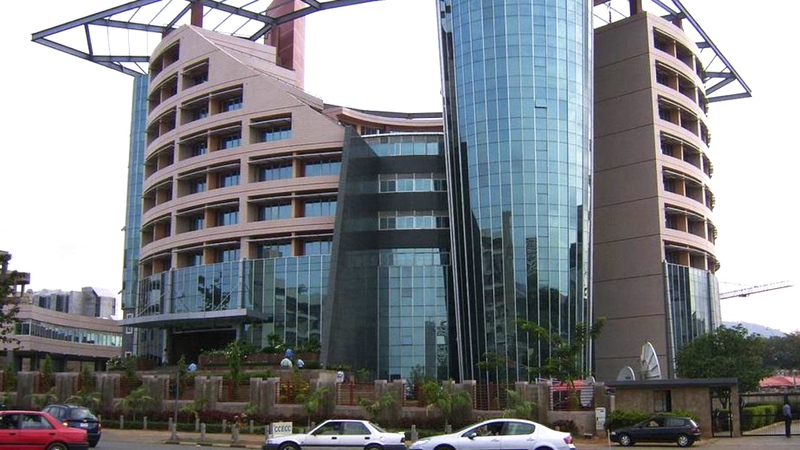 NCC, Nigeria's telecoms regulator is headquartered in Abuja. III. Why are data prices so high? The classic response is that Nigeria’s telecommunications sector is not performing optimally due to a lack of competition in the industry. This is because, like many other African countries, Nigeria’s telecoms industry is in its infancy, and for a large part of its adolescence, was solely run and regulated by its government. Industry observers have pinpointed this perceived lack of competition when explaining high data costs. However, competition has grown significantly in the last decade, particularly with the entrance of internet service providers. However, another frequent response is regulation. One common practice that has gone unchecked is when new entrants offer data services at a highly subsidised rate to grow customer base and revenue. 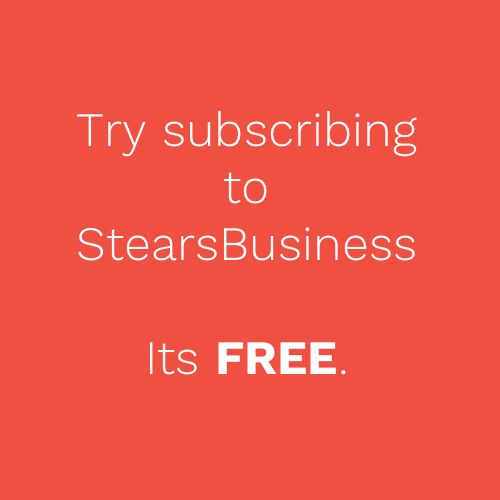 As their subscriber base grows, data quality suffers until the firms revert to market prices or bow out of the market. Companies like Mobitel, Starcomms, MultiLinks, Reltel Wireless, MTS Wireless, Visafone, and more recently, Ntel, have taken this path without repercussions. Ntel, for instance, launched Nigerian operations in 2016, offering 23GB of mobile data for ₦1000 on LTE smartphones and Mi-Fi devices purchased from the company. In 2018, Nigeria ranked 75th out of 77 counties by 4GLTE network. It is thus not surprising that in the same year which Ntel emerged as Telecom Company of the year, users complained that the company temporarily stopped the sale and distribution of SIM cards, and some subscribers were unable to log in to their online platforms to subscribe. Users also complained of slow services where there were previously no hiccups. The network complaints have trailed the company into 2019, in which it has reviewed its data tariffs to match market standards, offering 1GB at ₦1,000 valid for 30 days. Another case of inadequate regulation pops up when we look at the Google Station Program, launched in 2018, aimed at providing free Wi-Fi internet services across Africa. With Nigeria as its first beneficiary, the company partnered with Nigerian based fibre network provider, 21st Century Technologies, to provide ‘fast and secure’ Wi-Fi access to 200 locations in 5 cities at no cost to users. Users reported the data to be reasonably fast, even during peak periods. In the University of Lagos, where one of such stations was provided, students in the immediate vicinity drastically reduced the number of times they renewed their monthly data subscriptions. One student stated that he had not subscribed in 3 months, and another stated that 10 times as fast as his usual service provider. One report estimated the data to be 80% faster than Nigerian broadband and telecommunications Internet, transferring data at 30 mbps, as opposed to the current 1.8Mb/ps transfer rates by the fastest local mobile services. The success of the Google Station Program and its clear superiority over the competition should have been a signal that it would not be allowed to last. Thus, it was no surprise to see reports that the service, which was once championed by the Vice-President of the country, may soon be cancelled. The reason? NCC stated that Google had failed to register with, and obtain a license from them, thus making their service illegal. The crackdown by the NCC is allegedly a bid to protect local content, though possibly detrimental to affordable data services for citizens in the future. The success of the Google Station Program and its clear superiority over the competition should have been a signal that it would not be allowed to last. NCC stated that Google had failed to register with, and obtain a license from them, thus making their service illegal. Beyond regulation, the competition provided by Over The Top (OTT) Operators such as Facebook and WhatsApp, which offer messaging and call facilities via the internet, have begun to eat into mobile operator revenues. With a mobile data package of 1GB/month at roughly ₦1,000, users can call, text, and perform other activities through various applications, greatly reducing the need to call or text using their mobile network. Mobile networks charge an average of ₦4/SMS and 11kobo/second for every phone call. Talk-time per ₦100 is 14 minutes, excluding messages and other special packages, so ₦1,000 buys roughly 140 minutes of airtime. A WhatsApp call consumes 300kb of data/minute on 3G networks, so at ₦1,000/GB, a 3G user gets over 3,000 minutes of airtime. Data services are a clear threat to traditional airtime revenue and may encourage Telcos to keep data prices high, or at the very least, keep quality low. 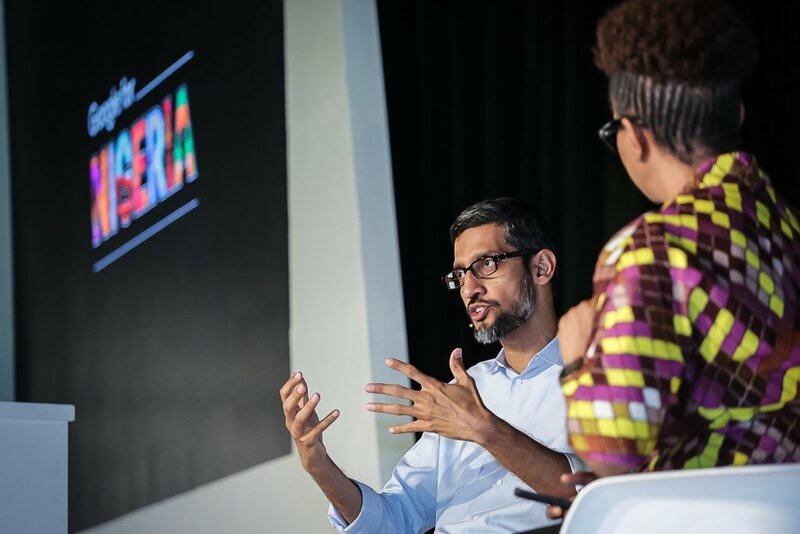 In 2017, Google CEO, Sundar Pichai speaking during a visit to Lagos. Operational costs may also be a significant factor in rising data prices. Between 2015 and 2017, Nigeria experienced its first recession in 25 years, inflation rates at decade-highs, and one of the largest currency depreciations in its history. Unsurprisingly, aggregate telecoms tower maintenance costs rose steeply from $80 million to about $104 million. The main reasons for the jump were increases in generator and diesel prices, security costs (vandalism rose in recent years), and assorted taxes and levies. However, the final and perhaps the most important reason why mobile data in Nigeria is expensive is that Nigerians are poor. There are two necessary factors to be examined in determining whether data is affordable: how much it costs, and how much people make. Nigeria is the world’s poverty capital, with over 90 million people living under $1.90/day and even the new minimum wage of ₦30,000 ($83) would be one of the lowest in the world. It is no surprise that data consumes a large chunk of people’s monthly income when these people don’t make that much money in the first place. IV. What is the impact of the high cost of data? The most obvious and devastating effect of the high cost of data is exclusion from the internet. The more expensive it is for the average Nigerian to access the internet consistently, the more likely it is that the country will be left out of the 4th industrial revolution. Moreover, the United Nations has hinted that access to the internet may soon be considered a basic human right. Meanwhile, high data prices and the opaque methods operators use have led to the rise of illegal data vendors who offer access to mobile network data services at lower prices than their original providers. All of these services are illegitimate and have the implication of occasionally scamming unwitting subscribers in search of cheaper data, while simultaneously depriving Telcos of revenue. With a growing number of start-ups’ and entrepreneurial activities, SMEs make up about 90% of African businesses, and in Nigeria account for 84% of total employment, numbering over 37 million across the country, a growing number of which are tech-driven. High data prices and the opaque methods operators use have led to the rise of illegal data vendors who offer access to mobile network data services at lower prices than their original providers. For non-tech SMEs, greater access to mobile data will undoubtedly improve the quality of their business, and expand them; whether through advertisement, sale or learning options. High data prices are in no way beneficial to these businesses, currently restrict the ease of doing business, and will continue to hinder the growth of these businesses, and by extension, the growth of the economy. Nigeria must understand that access to mobile data is capable of transforming many aspects of Nigerian society. In addition to accelerated economic growth and fortified individual rights, affordable internet access can expand educational capacity for Nigeria, by making education cheaper and more available for its 13 million out-of-school children. It could improve credit markets, boost investments, support urban planning and better quality of life. The effects of expensive mobile data are as endless as the possibilities that affordable data will create. In recent years, much chatter has focused on traditional telecoms providers and their role in providing services in a constantly shifting market. The BICS report records 4G traffic tripling on a year-on-year basis, and a huge range of industries; automotive, retail, security, architecture and agriculture are adopting IoT (Internet of Things) strategies which will require 5G networks to support multiple uses. 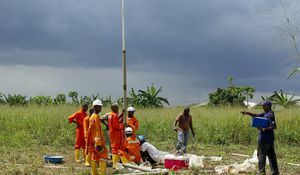 Nigeria still struggles with the functionality of its 4G network, largely due to an enormous drop in the speed of 4G internet during the day while many users are actively connected and inconsistent services. Still, the expectation is that 5G technology will be rolled out in a few years, with anticipated applications to technology such as Artificial intelligence and Self-Driving Cars. In order to move forward, Nigeria must first fix the inherent problems in its telecoms sector to make access to the internet more affordable. As part of an A4AI event held in Lagos, Nigeria, in 2014, recommendations to increase data affordability and effectiveness included: the development of broadband plans and strategies with a focus on the special geography of Nigeria, greater infrastructure sharing, enhanced competition, effective taxation policies to reduce multiple taxation, better market regulation, and other necessary policy adaptations to increase the ease of business in the telecoms sector. An increase in income via rapid economic growth would be a welcome development, enabling more people to afford data; as with every mass-consumed product improving incomes is one of two factors that move products over time, from luxury items to common goods. In the poverty capital of the world, it is notoriously easy and extremely expensive to be data poor. And yet, data; informational and mobile, are necessary to change this status quo. Expensive data, therefore, is a luxury that the country cannot afford.